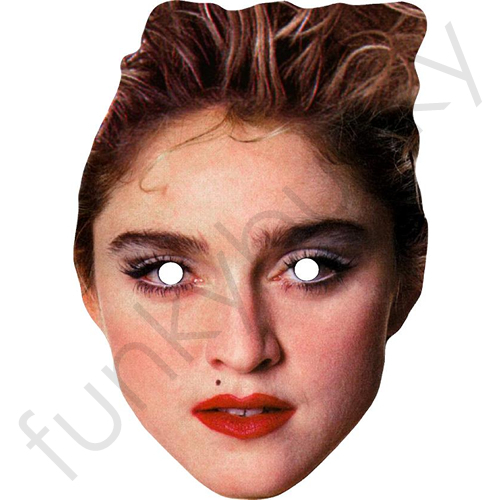 Get into the groove with this great 1980 Style Madonna Mask. Great for parties. Madonna is an amazing singer-song writer who is well known for reinventing her image and her music throughout the years. Some of Madonna's most well known eighties songs include True Blue, Like a Prayer, and Like a Virgin.